Max Fine porcelain slabs by Iris Ceramica and other materials chosen by the DC10 studio combine with Leica furnishings in the renovation of the store in Rome, for a project that focuses entirely on surfaces and contrasts of materials. 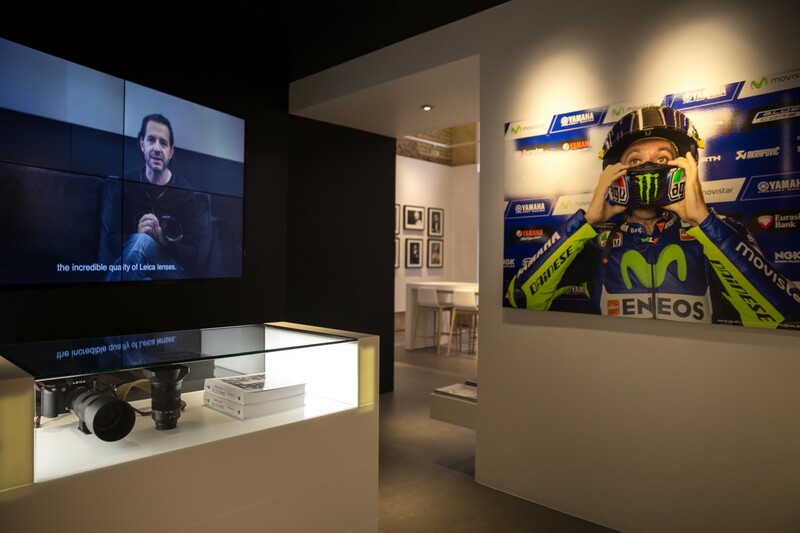 The Leica Store in Rome by studio DC10 is a project that gives value to an existing space and restores the appeal of the past, while preserving the building’s history. We are in a place that is dense with history and with layers of memory, in the old centre of Rome, near Piazza di Spagna. The site is a prestigious building where a famous architect of the past, Borromini, designed the façade of the building’s inner courtyard. 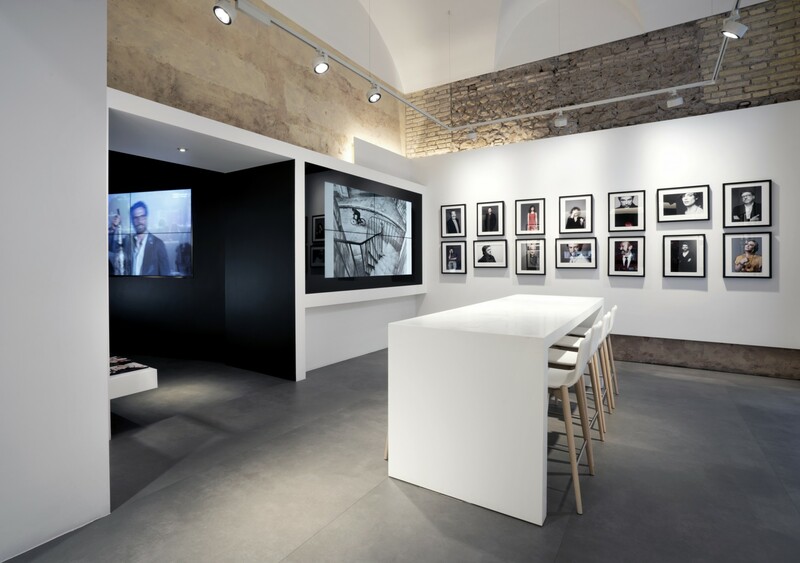 In this place full of history, the architects decided first and foremost to understand the space they were working with. They removed the superficial additions of previous stores and found very high ceilings with barrel vaults and a space divided into more intimate rooms. The atmosphere of the past, with natural light illuminating the old brick and discoloured or broken pieces of plaster, suggested a path that the architects decided to follow. They added plasterboard floors to create a layered effect between the old walls and the new white ones. This interplay of surfaces, material contrasts and shadows perfectly suited the porcelain surfaces of the MaxFine Roads collection by FMG Fabbrica Marmi e Graniti chosen for the floors in a 100 x 300 format in Grey Calm. 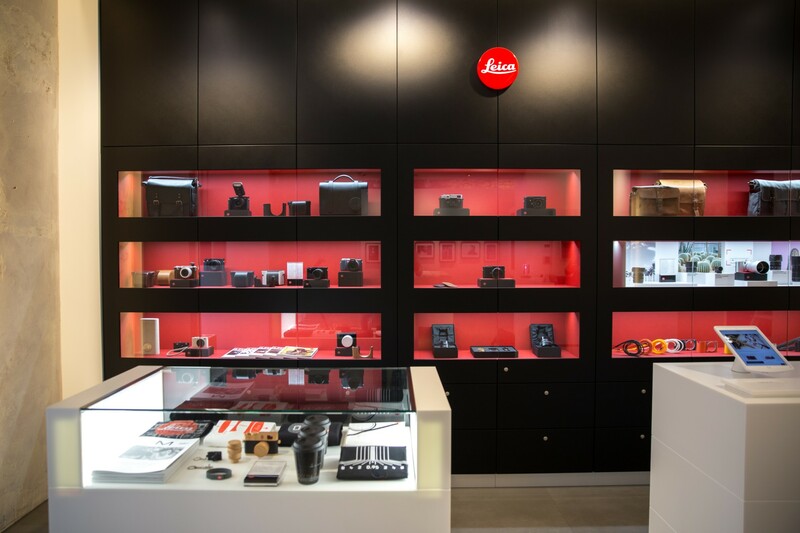 The concept of the Leica Store was reinterpreted in a poetic key, focussing on plane surfaces and transforming individual walls into static photo shots, offering users special frames and viewpoints.